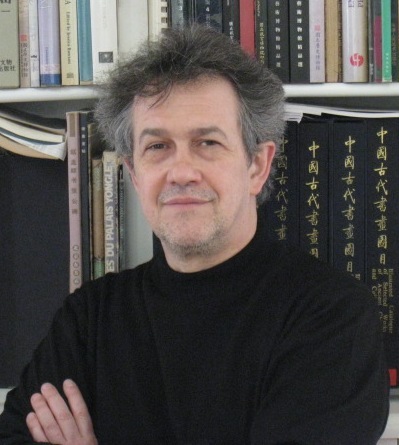 Born in 1960 in France, Alain Arrault has obtained a master degree in Western philosophy (1985, History of philosophy in Late Antiquity and Medieval Age) and a Phd degree in Chinese studies (1995). Concerning Chinese Studies, his main field was on a first step the history of thought and religion in Pre-modern China (Sung and Ming dynasties), especially on Wang Yangming (master degree) and on Shao Yung (Phd degree), and on a second step on the history of Annual Chinese calendars from IIIrd AD to Xth century. Since 2002, he is involved in common religion studies, in particular in Hunan province religious practices through domestic statuary from XVIth to the beginning of XXth century and contemporary fieldwork studies. He was professor of Centre d’études chinoises of University of Liege (Belgium) from 1996 to 2000. 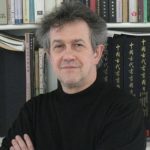 He is currently directeur d’études of Ecole francaise d’Extreme-Orient (French School of Asian Studies), and professor attached to the Research Center on Modern and contemporary China (School for Advanced Study in the Social Sciences). From 2001 to 2006, he was director of the Center of Ecole francaise d’Extreme-Orient in Peking, and director of the international research program entitled “Taoism and Local society. Liturgical structures in Central Hunan” (2002-2005) funded by the Chiang Ching-kuo Foundation. He is currently member of the French Ministry of Foreign Affairs scientific committee for French Institutes in Asian Countries, elected representative of the EFEO researchers at Scientific Council of Ecole francaise d’Extreme-Orient.